This is the story of Batavia, a dutch ship that sunk off the coast of Western Australia stranding hundreds of survivors in the middle of the Indian Ocean. It is the thrilling story of survival as men, women and children scrambled to desolate islands near the ill-fated coral reef and where one man, onderkoopman (junior merchant) Jeronimus Cornelisz, became the self-appointed Governor. Drunk on power he started a systematic program of murdering the survivors, strategically establishing himself so that he and fellow mutineers could overtake the expected rescue ship and start a life of piracy. So how does it end up? well I am not going to give the story away, except to say the truth is way better than any fiction. 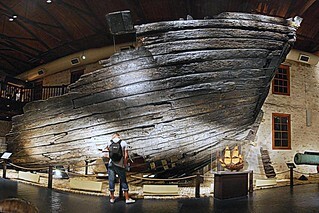 The Shipwreck Museum in Fremantle houses a portion of the resurrected Batavia as well as a reconstructed stone arch originally destined for the town of Batavia in Java. There was also a skeleton on display that had been found on one of the islands, sans feet and with a deep gash to the skull – indicative of the brutality and carnage experienced on Beacon Island. Whilst I am not a book reviewer, if you want to read the story, with an ending, Peter Fitzsimons account ‘Batavia’ is well worth the read. I would especially recommend reading it before visiting the Fremantle Maritime Museum Shipwreck Galleries, knowing the characters made it all the more real.